Have you ever gotten stuck in the dark rummaging through your purse? Say in your car or a dark club. Yeah, you can't say you haven't! I seriously can't count how many times I have dove into the dark endless void that is my purse, only to get lost. Of course, later when you can SEE things, you find it. Well, thanks to to the inventor of the Glitzsee, it can be a thing of the past. 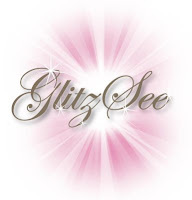 Glitzsee is a beautiful little companion that literally lights up your life with a shake. Just turn the switch on and leave it in your bag until it's time to use it. 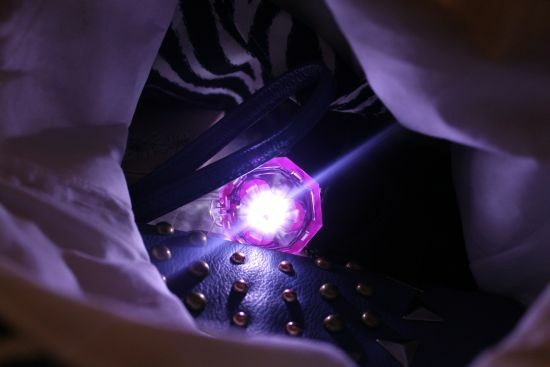 Then, you just give it a shake and watch it work it's magic by engulfing your purse with the power of light. *angels sing* Now you can see everything clearly and won't risk pricking yourself with a random something or other that is probably lurking in there. No more fumbling for five minutes at a time looking for small things. The Glitzsee is so unique and did I mention I love the clever name. Puns on words are my favorite and this is a perfect choice for the lovely doohickie. Here is the creator, Marylee Guinon, holding her wondrous contraption. Glitzsee comes in a variety of cute shapes like the heart you see pictured. My favorite though, is the purple amethyst I received for review. Isn't it adorable? Cute enough for a teen, yet not so cutesy that an adult can't use it proudly. It is perfect for me! Here it is at work in my purse. As you can see, it illuminates big and bright so that not a thing is unseen. It shuts off after a minute to save battery juice. When that happens, you just give it another shake. I have nothing but great things to say about the Glitzsee. 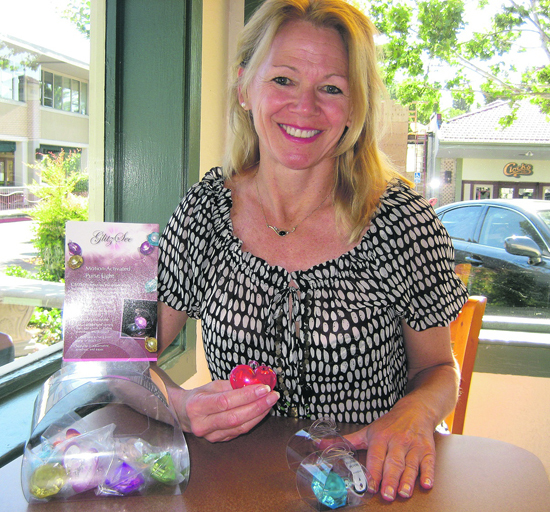 Marylee Guinon's aim was to make our lives easier and that she did! If you bring practically your whole office or makeup regimen with you, you need this! This little gem is so light weight and small, it could never be a nuisance. It is also made with a little loop, so you can easily attach it to a keychain or somewhere inside your purse. I will keep this in my purse forever, because you never know when you'll need it. You can purchase it now for just $14.95! If you'd like to learn more and keep up with promotions, follow the social media sites.